Two new additions to the O! Jolly! natural, color-grown cotton collection are now in the shop and I'm so excited to show them to you! 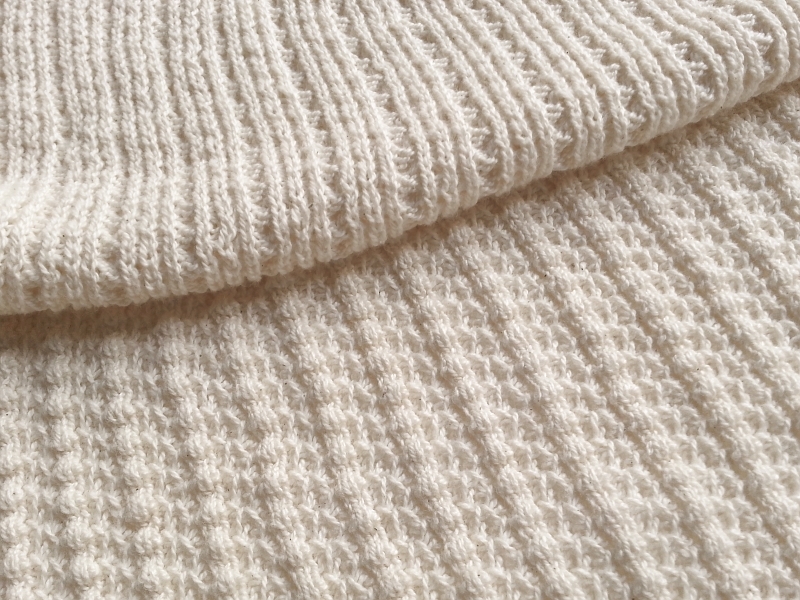 Pictured above is a textured sweater knit I've named Saratoga Rib (sold out). The fabric is ultra soft and feels seriously luxurious. The natural white cotton fiber was grown in California by farmers following growing practices of the Sustainable Cotton Project. The knitting mill in New Jersey did a beautiful job producing my design, full tucks and bumpy ribs. Stripes! Yes, I've wanted to add some stripes to the collection for a little while. And what says spring and summer better than stripes! The yarn that makes light green stripes is color-grown green cotton (also from California farmers practicing sustainable growing methods). Color-grown means that the yarn has not been dyed. The white and green are the natural colors of the yarn. No dyes. No bleach. 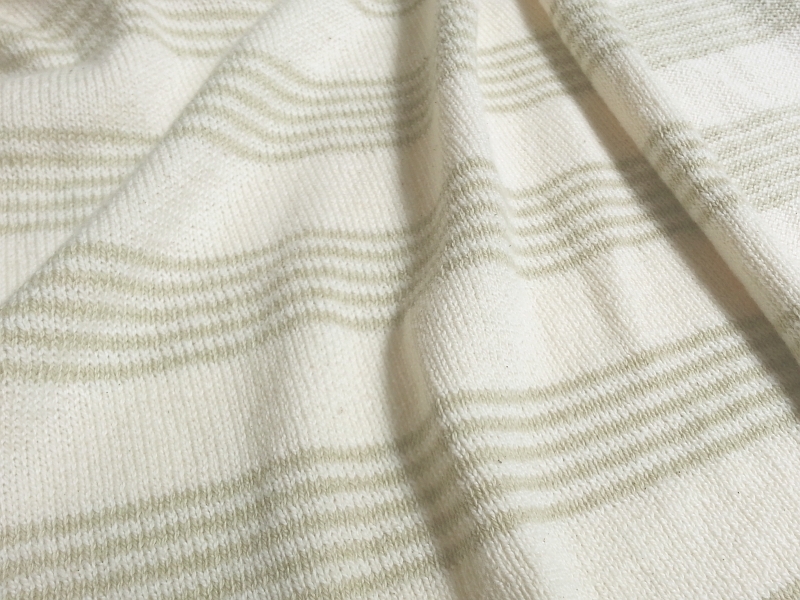 Other news in the shop -- the 2x2 natural white rib should be back in stock in another week or two is now back in stock! If you're not on the email list, and you'd like updates on what's new in the shop, special sales, and other O! Jolly! news, please join the list here.